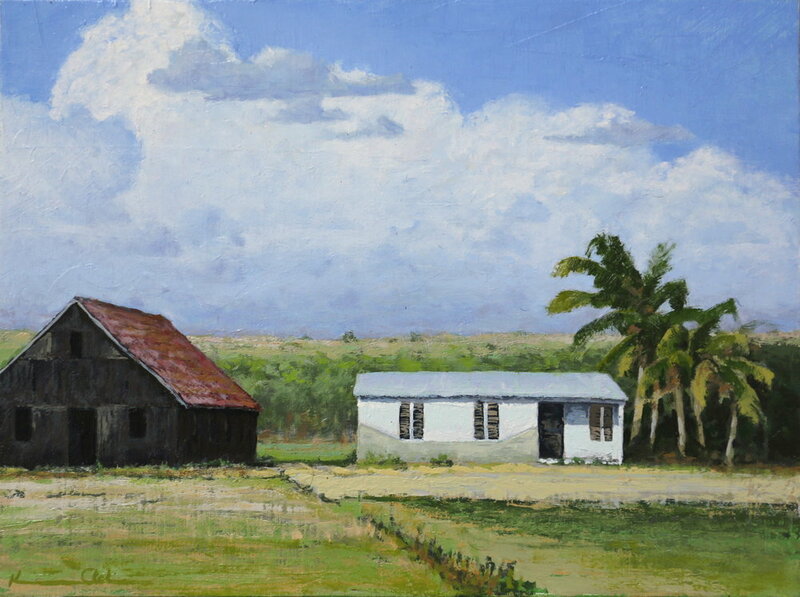 “Here and There” Paintings of Virginia Landscapes and Cuba. 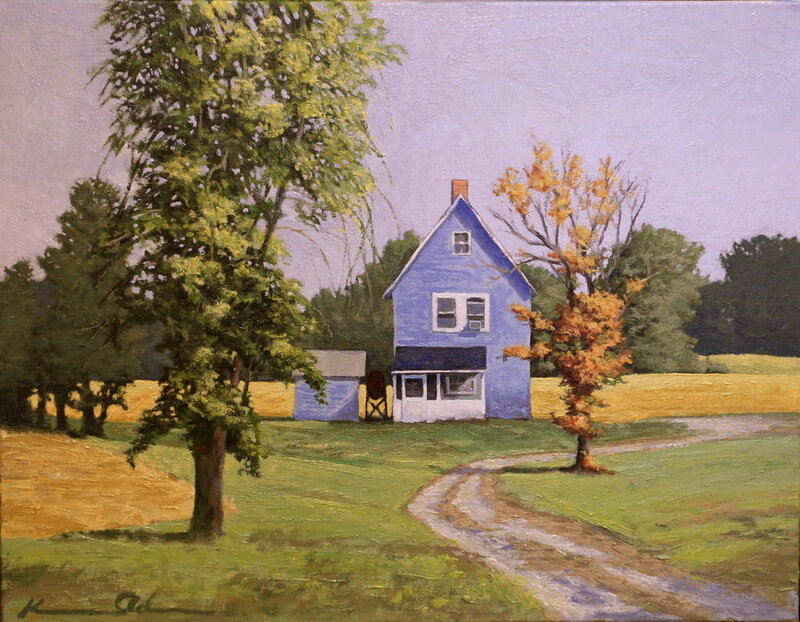 I have always been drawn to the landscape, and especially to the unique light of a particular place, for my paintings. In recent years, I have become engaged with architecture and its place in the landscape—what that architecture says to and about the people who live in a particular location and how the land is used. 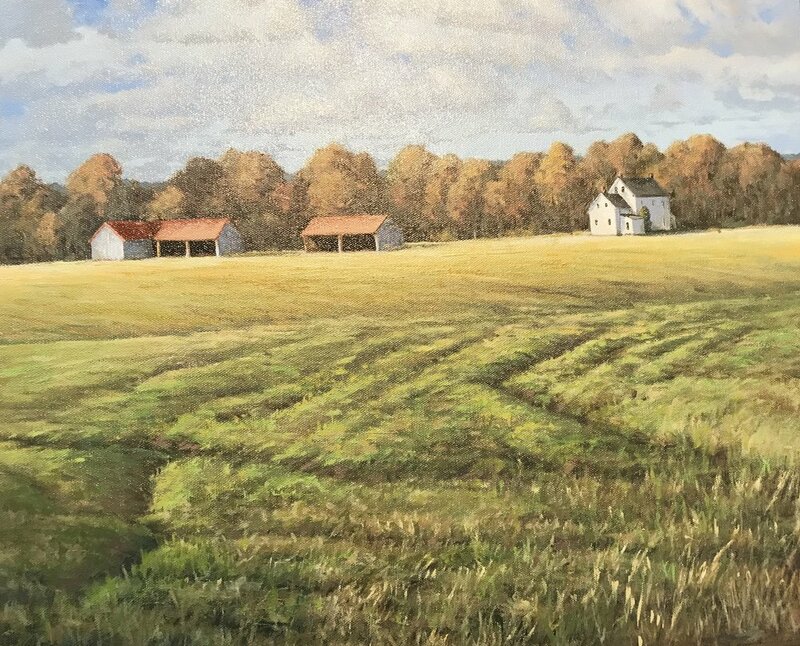 These paintings have the effect of comparing two particular locations: Virginia’s Piedmont region, and the rural areas near Havana, Cuba. 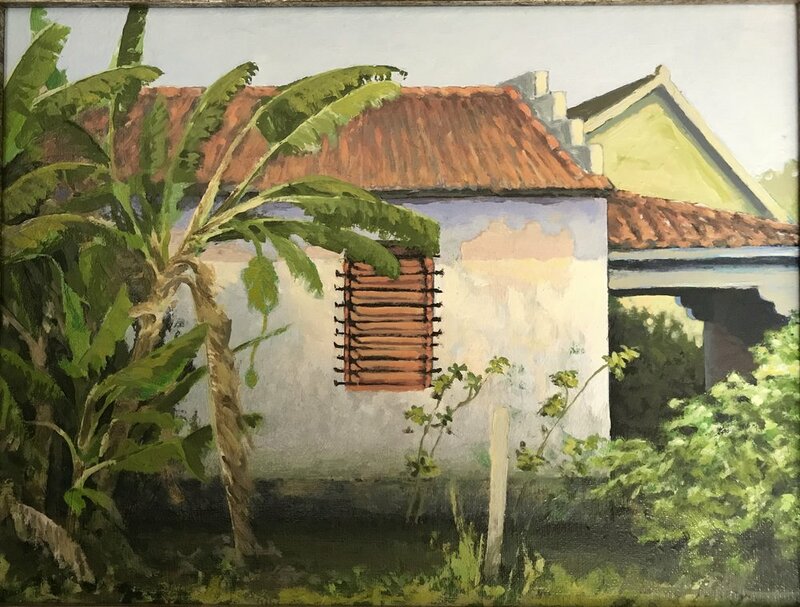 That was not my agenda when I found myself with the opportunity to paint in Cuba, but just by being shown together, these two bodies of work naturally illustrate similarities and differences in topography, the light, and the architecture of place. In these paintings, I wanted to capture the lines, shapes, patterns and texture — the essence of what I saw and experienced while visiting Cuba, and my ongoing artistic relationship with the part of Virginia in which I live, against the Blue Ridge Mountains near Shenandoah National Park. From the American perspective (or at least this American’s), Cuba is first an island, and its land- and city-scapes are washed by the reflected light off the Caribbean and the Atlantic. At home in Little Washington, Virginia, the same source of light is reflected very differently, off mountains rather than water. I hope this work shares insight into the important role light plays in how we see color and form.